This past week, we had one of the most fun in HCC Sports program that I can remember. We had 3 separate YM Dodgeball tournaments played and completed on the same night: Deacons on Tuesday, Teachers on Wednesdayand Priests on Thursday. Most games lasted only 2 minutes, with balls flying and YM dodging this was an event that everyone could participate in. In fact, you would have thought, the big kids would have pushed the others around. In most cases, exactly the opposite happened. The smaller YM were able to dodge and avoid getting hit by the bigger ones, and the bigger kids were easier to hit because they were bigger targets. We had many non-members come and participate and all had a great time. For this tournament we relaxed the rules and had unbelievable participation. Some stakes thought they would only have a few players and submitted for only one team, as the word got out they ended up with 18 players participating. Next year we will need to remind everyone that this is an event that everyone loves to participate in and it can be done in one night either on the Stake level or the Coordinating Council Level. 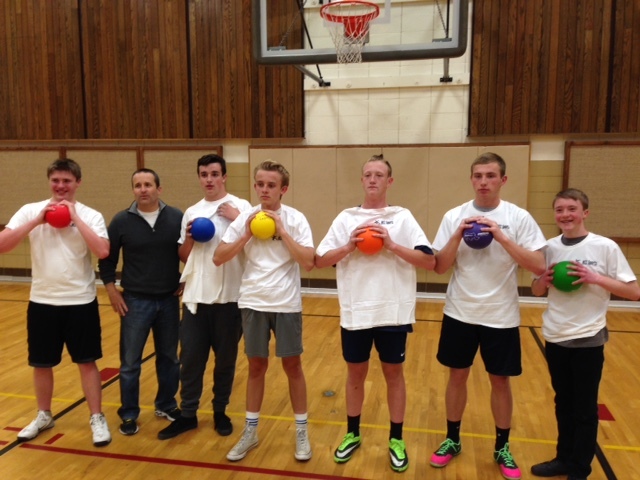 In all, we had over 50 teams participate in Dodgeball, next year we hope to have many more. I have had several YM asking why their Stake chose not to participate and I don’t have an answer for them? As Stake Sports Specialists, please let your YM and YW Presidents know early and put on the calendar what we are doing and the dates so they can arrange their schedules. Deacons: Deacons from Canyon Rim and Olympus Stake combined to win a very competitive tournament. Priests: Perhaps the most competitive group, the Priests from East Millcreek Stake defeated Winder West in a hard fought battle! Thanks again to our hosts and all those who participated in this fun event.